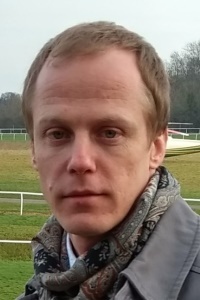 Dr Andris Jankevics gained his PhD in 2013 with Prof Rainer Breitling at University of Groningen. His PhD project involved developing and improving LC-MS data processing algorithms for metabolomics data. Following his PhD, he continued to develop and improve LC-MS data processing algorithms in the groups of Prof Rainer Breitling (University of Manchester) and Prof Andrew Dowsey (University of Liverpool and University of Bristol). In October 2017 he joined the Phenome Centre Birmingham team as bioinformatician with a main role to handle increasing amount of metabolomics data sets. Data sharing in omics disciplines is becoming a prerequisite and is generally considered good scientific practice. Standardised protocols for sharing and reporting genomics and transcriptomics data are well established and reuse of these data sets within the scientific community or biotechnology related industries is commonplace. Rapid growth of proteomics and metabolomics applications has prompted creation of data repositories for these fields as well, but reuse or further exploration of this information is mostly hindered by lack of consistency in experimental design, quality control, data processing, annotation and reporting. Currently there is a significant ongoing community effort to establish standards for experimental design, data exchange formats, required metadata and effective, preferably automated, software tools and workflows for data processing and reporting. Most of the data sets in public metabolomics-specific repositories are only partly interpreted and there is great potential for further exploration. We will discuss existing challenges, applications and opportunities for reusing publicly available omics data by the research community.